Green Bird's Postings: Last Day of the Weekend! Last Day of the Weekend! Today I was in a swim meet. I swam a 100-IM, two relays, and a 25-fly. On fly I think I got 2nd place. While I was waiting at the swim meet I played and talked with my sisters and friends. One of my coaches (I'll call him "Shaggy Dog") keeps teasing me. Shaggy Dog even threw me in the pool one time! When I got home I played chess with my Daddy and WON 5 times in a ROW! After that I played outside - it was FREEZING and windy! Only a few of my friends were over. Then they left to go home. I helped my parents in the downstairs playroom - I was a HUGE help my mom says. After dinner we played the Lego Harry Potter game. My little sister, Zucchini, won. It is the best game I've played. 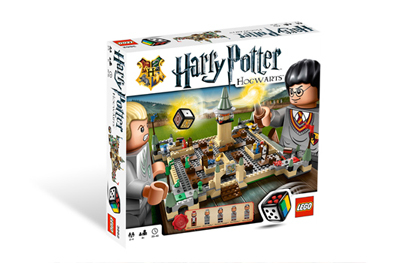 We have ALL the HP Lego sets. We got them for Christmas. Now it's time for quiet reading. I'm reading Knight's Castle by Edward Eagar. It's part of a series. The series starts with the book Half Magic - it's really awesome. Now I have to go. Good night! I have read Edward Eagers Half Magic too! School's Out ... Or Is It?